When I first started cutting out dairy, yoghurt was the hardest thing to give up… in fact I didn’t think I’d ever be able to do it! I’ve spent a lot of time working on my coconut yoghurt recipe and have finally come up with the perfect one. I normally make my own coconut milk from fresh coconut but you can also use an organic tinned coconut milk or cream. No dairy, sugar, artificial colours or flavours, but still thick, creamy and delicious 🙂 Need I say more? 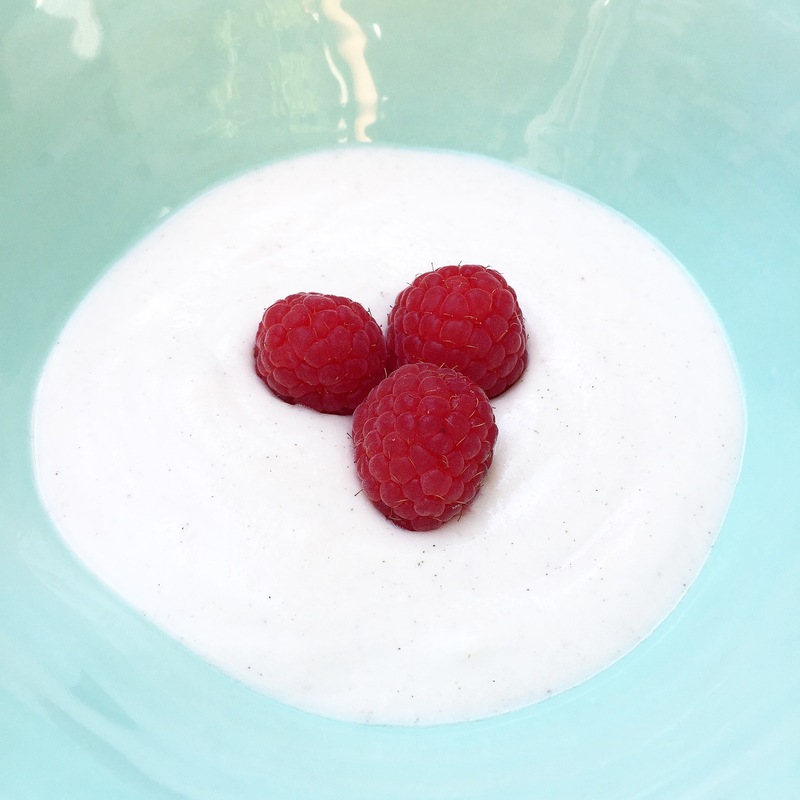 Two things are very important when making yoghurt: Firstly, the quality of the probiotic you use and secondly, hygiene. If you do not have a good quality probiotic it will not culture into yoghurt and you will merely have a nice tasting coconut cream. On the other hand, if you don’t sterilise the glass jar and wash your hands properly, you may end up culturing other bacteria. This won’t taste good and may even make you sick! I’ve tried a few different probiotics and have found the best result with a liquid probiotic. I use Sambiotica or Nature’s Choice Ultimate Probiotic, available at Dischem. 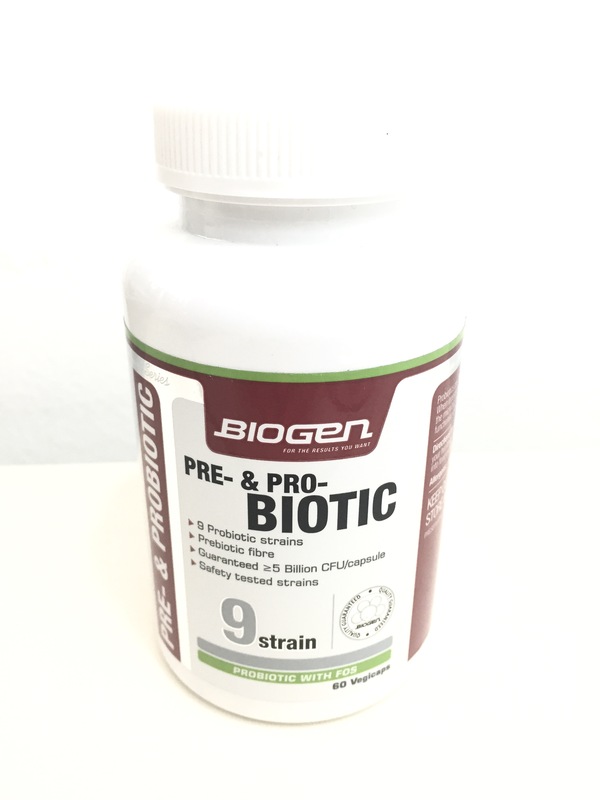 Alternatively you can use Biogen Pre- & Probiotic capsules also available at Dischem. If you’re not in South Africa, you may need to experiment a bit to find the one that works best. Firstly make sure you have a sterilised glass jar for fermenting the yoghurt. The easiest is to put it in a dishwasher, otherwise you can boil it for 2 minutes. Turn it upside down on a rack to dry. Also make sure that your hands are thoroughly clean! Blend the coconut and hot water for 30 to 60 seconds in a high speed blender and then strain through a nut milk bag or muslin. Place the resulting cream in a saucepan. Sprinkle the agar over the cream and use a whisk to thoroughly combine. Bring up to a gentle simmer, and simmer for 3 minutes exactly. Agar needs to be heated to activate it, but over heating will destroy it and it will not thicken. Remove from the heat. Once the coconut cream has cooled down to body temperature, whisk in the remaining ingredients. If you add the probiotic while it is too hot, you will kill the cultures. 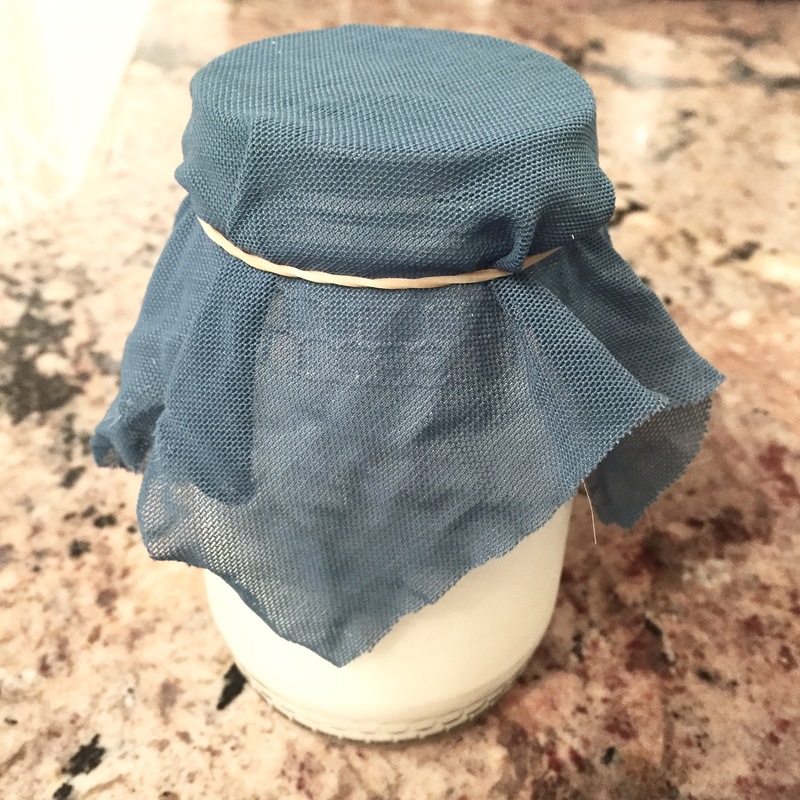 Remember that bacteria are living things so treat them as such… they like to be warm and fed 🙂 Cover the jar with a cloth that breathes and use an elastic to secure it. Leave the jar in a warm place for about 24 hours. If it is particularly hot, 18 hours may be enough. If it’s very cold, gently warm your oven, turn it OFF and then place the jar inside. After a day the cream will have cultured into yoghurt and you can refrigerate it. In the fridge it may culture and thicken further. You should eat it within about a 10 days, if it lasts that long!